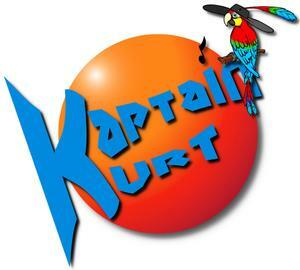 Kaptain Kurt is a "one-man band" in highest demand. He sings, plays guitar and keyboard, and delivers a personalized performance geared to entertain any audience. Enjoy a wide range of music styles and songs from artists like: Tom Petty, Hall and Oates, Jimmy Buffett, Zac Brown Band, Bob Marley, Kenny Chesney, Fleetwood Mac, The Beatles, Steve Miller, Frank Sinatra, Paul Simon, Neil Diamond, Billy Joel, Elton John, and up over the top with the Black Eyed Peas, Pharrell Williams, Robin Thicke and Taio Cruz. You feel like you're in the tropics when Kurt breaks into island mode! Whether you're singing along, joining the conga line, doing the limbo, constructing a human pyramid, or just listening, his is a performance geared for a high level of fun!